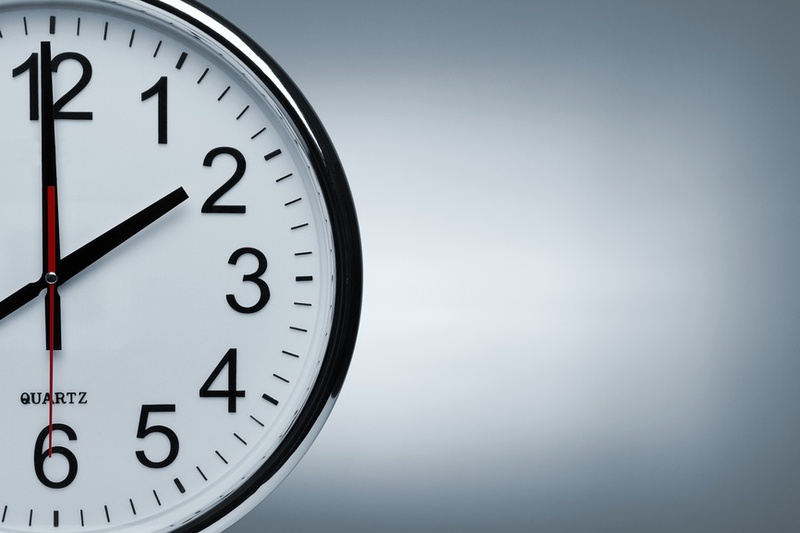 How long will it take to see marketing ROI? The experts weigh in. When you've just started a marketing program for your B2B company, how long will it be before you start generating revenue? This was a popular question in our recent "marketing speed dating" session, where business leaders had 15-minute ‘dates’ with a B2B marketing expert and asked their most pressing questions. 'When can I expect results' is one of the most common questions we get from B2B leaders. It's an important one for executives to ask, particularly if they haven't had a marketing function in their business before. Because if expectations aren't aligned, most companies will give up on marketing before it’s had time to be successful. And that means dollars wasted. There isn’t a simple answer to the question of marketing ROI. Timing depends on a few factors. Most B2B products and services have a long sales cycle. For purchases that are complex or high-risk, that sales cycle can be 8 – 12 months, or even multiple years. And logically, if it takes that long for a prospect to become a customer, you can't expect marketing ROI in three months. It will take longer. If you don’t have a marketing foundation or a built-up prospect list, seeing ROI will take more time. Even if your marketing has been dormant for six months or a year (maybe you lost your marketing person, or your priorities changed), it's easier to get back to success if you have an established track record in marketing and some fundamentals in place. If you don’t have those fundamentals of marketing in place, you need to build them first before marketing will pay off. Like anything else, starting from scratch takes longer. Say your company sells a service that has a typical sales cycle of 6 months. You have a sales team, but you don’t have a strategic, systematic marketing function in the business (ie, you may have done some marketing initiatives from time to time, but no consistent plan or execution). Start with a strategy, a clear value proposition, and a website that articulates what you do well. It takes about 100 days to build a solid B2B marketing foundation. For some companies, it might take longer - especially larger organizations with more stakeholders. But the average small to mid-sized B2B company should aim to get the foundation (from planning to launch) built within 4 months. If you’ve built your foundation and are now executing consistent marketing initiatives (for example, communicating regularly with your customer base, publishing content to attract prospects, holding events), you should expect your pipeline to grow in the 6 – 12 month zone. This means you have more leads coming in, are in conversations with existing clients about additional products or services, and are having meetings with prospects about your services and solutions. Expect it to take a few months for your message to ‘sink in’ with your target audience. People are busy, they’re on the receiving end of a lot of messages, and they often need to hear something 3 – 5 times before they ‘hear’ what you’re saying. Mezzanine works with a lot of B2B companies with long sales cycles. And in many cases, marketing takes more than a year to deliver its value. Here’s the hard truth based on a decade of experience: marketing spend is often higher than profit generated in year one. That’s the reality. Lots of company owners don’t like to hear this. In some instances it isn’t reality, but based on the hundreds of companies we’ve worked with, it’s more often the case than not. But that doesn’t mean it isn’t working! Year 2 and Year 3 are when marketing delivers powerful – and growing – ROI. Year one is tough because that’s when it investments are being made that don’t deliver short-term results (strategy, messaging, website, market awareness campaigns). I recently had a three-year client send me a letter thanking Mezzanine for helping his company grow; since implementing their marketing plan, they've seen 27% year-on-year growth. And the only thing they've done differently is adding marketing to the mix. However, I recall pretty clearly that their year one was flat – after the first six months of marketing, they started getting upset because they felt like all they were doing was spending money on marketing, with no new revenue to show for it. I counselled them to be patient, and in year two, things turned around dramatically. The lesson? You need to have patience and stick with your marketing efforts. Marketing is a long-term initiative. If you do it strategically, it will pay off, but you have to have realistic expectations about how fast things will happen. Want to know more about ROI and managing expectations? There's plenty of info on that (and more) in The Radical Sales Shift. Download the first section below.